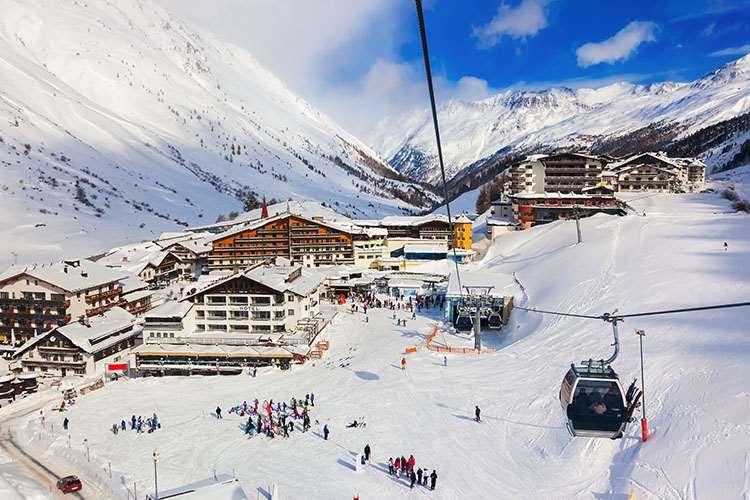 One of Obergurgl’s leading hotels, the luxurious Alpina offers discerning guests impeccable service and first-class cuisine. With a superb indoor spa area and elegant lounge & bar, there is a choice of rooms and suites both in the main building and in the inter-connected Sonnberg wing. Just a few metres from the slopes giving easy access to the lifts and ski school meeting place, the hotel enjoys a quiet hillside location and superb views. 80. All rooms have FREE Wi-Fi internet access, digital TV, telephone, safe, radio, bathrobes, slippers, minibar and hairdryer. Junior Suites (type C 37m2) sleep up to 4 and have bath, lounge area and balcony. Larger deluxe junior suites (type D 45m2) have bath, separate WC, lounge area and balcony. Deluxe 2-room suites (type F 58m2) with separate bedroom, lounge, bath, shower and balcony are available on request. Fantastic resort for style, value and warm friendly atmosphere. Hotel Alpina has it all - even the non-skier. Top quality food and accommodation. Skiing is great for all standards. Having ended up in Obergurgl by chance we really enjoyed the Alpina, the hotel facilities were fantastic, it was great to have an English sauna area (clothes on) along with the traditional Austrian (clothes off) sauna area to relax in at the end of a day on the slopes although be warned in the clothes on area a lot of children seemed to run riot. The food was very good quality and as it was buffet style you could eat as much as you liked. Apres at Neederhut is a must!Live Music and dancing on tables. Night skiing in the neighbouring village (connected by free bus) was definitely worth it, especially in spring when the slopes get slushy in the afternoon, at night they are nice and crisp. Solden is worth a day, it has a larger ski area and a challenge of several peaks to do in a day, the route is marked out so it is easy to follow.